Free Green Screen background resources to download. Green screens are considered as one of the easiest and fastest option to create highly creative videos. Vegas Pro’ Chroma Key tool helps users to generate project specific green screens with fast editing options and produces Hollywood style videos. The green screen footage can be easily added to timelines using Vegas pro and you can also check your project appearance in preview window for better results. You might be aware of the fact that Vegas Pro is a professional video editing software tool that can be used for creation of incredible video projects but it works for Windwos devices only. Also the high cost of tool makes it difficult to get access to Vegas Pro for everyone, on the other side the complicated and advanced user interface is difficult to access for beginners. If you are also facing all above issues then it is good to search for any other useful option that can work on Windows as well as Mac devices. Experts suggest using Wondershare Filmora for all video editing applications as it serves with easy to use interface and fast editing platform. All Vegas Pro features can be accessed within Wondershare and the best thing to know about this software tool is that it can be downloaded from official website for free with one month trial version. One can shoot the green screens by himself at the time of video recording; but for this you need to use proper lighting arrangements. Those who do not want to make efforts for shooting can easily download green screens from other websites as per need. You can check this article to get 40+ free essential green screen effects. 1. 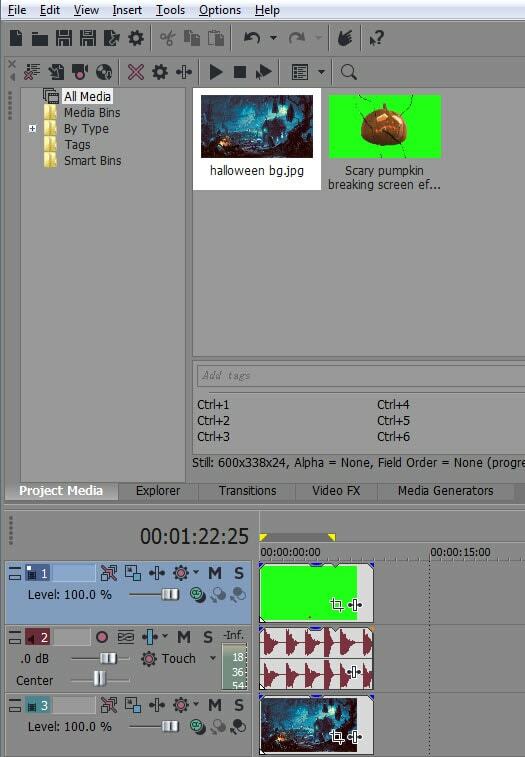 First of all open your Vegas Pro software tool and then import any green screen footage over timeline track 1. 2. Now import your desired image or video file that you need to replace with existing green screen, put it on track 2. 3. It is time to set same time duration for both tracks. 4. Open Video Event FX type pop up window, it can be done by pressing on the event FX button. 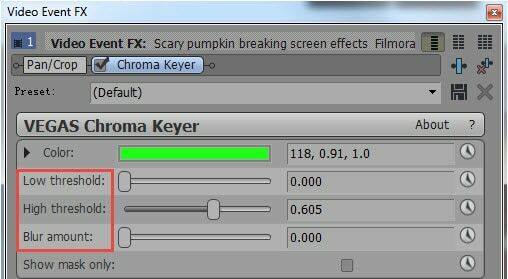 Select VEGAS Chroma Keyer and then hit Add button; finally press OK.
5. Go to colour select option and then choose little colour picker. It can be used for selection of green colour; this selection will help you to get transparent colour for track 1 at the points where track 2 image or video will be merged. It will help you to make adjustments for green screen positions and the video transitions on background transparent screen can be managed well with classic Vegas pro tools. 6. Finally you need to make little adjustments for blur and threshold amount. Once you have completed all above adjustments in order to create your dream video project then it is time to utilize the preview window to check your project. It can be done easily using Vegas Pro preview option; if you find some mistakes in between then go to step 2 again and in case if your project is working fine then hit Save button. Now your project is ready to process for further applications, it can also be added to social media platforms directly from Vegas Pro.